The Ace Misfit is the poster boy for the Cleveland CycleWerks company. 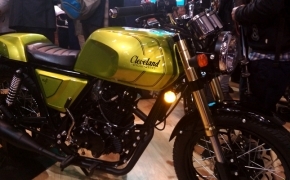 It is the motorcycle which was first featured on the covers of different magazines when it was announced for India. 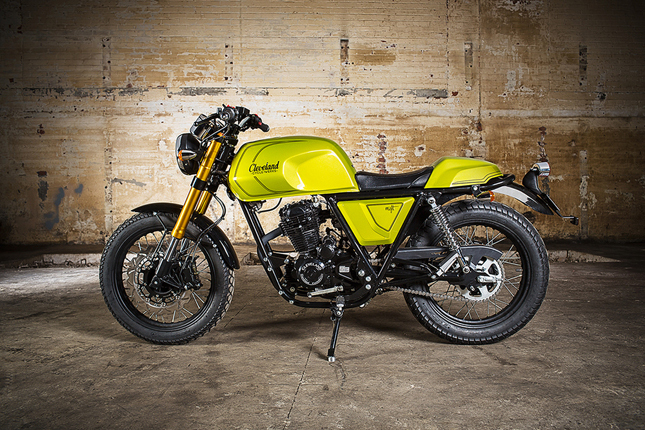 The Misfit is the Cafe' Racer from the stable of American CCW. The bike has a CDI control chip for controlling ignition and the weight of the bike is just 144 Kg. The frame is a square backbone type which uses Engine as a stressed member and incorporates high carbon steel in its overall structure. The front suspension is inverted type and Misfit has the biggest front disc at 302mm while all of the Ace series have a 298 mm disc. The CCW Misfit shares its engine with the Ace Deluxe. 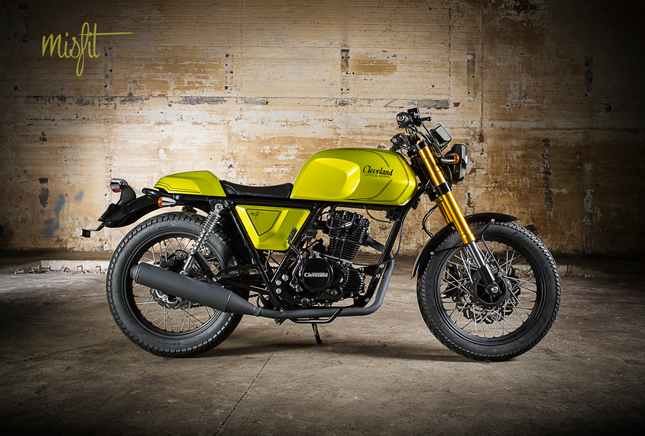 Originally, the history of this motor is associated with Honda Rebel 1999 or Honda CMX 250. It still is a pretty solid engine and has been reworked according to modern standards. Talking about the specs, it is an air cooled 229 cc engine with 67 mm bore and 65 mm stroke. The compression ratio of the motor is around 9.2:1 and there is a single overhead valve design and the whole thing is mated to a 5-speed gearbox. The bike makes around 16 Nm of torque @ 6000 RPM and 15.4 Hp @ 7000 RPM. The power figures are less when compared to a 220 cc engine. 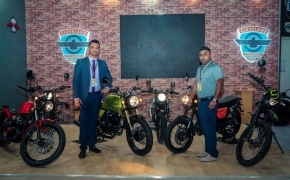 Chassis and Dimensions: Ace Misfit has a high carbon steel double cradle frame which enables the bike to have a kerb weight of just 144 kg and a ground clearance of 150 mm. 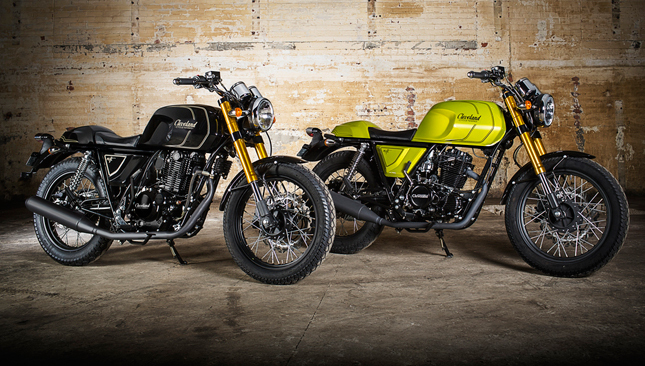 The seat height of Misfit is more as compared to the Ace Deluxe, at 770 mm. The fuel tank can hold a healthy 15 liter of fuel. The wheels at both ends are 18 inches which have aluminum rims and spoked alloys. They both employ tubeless rubber with a 110/90 tyre at the front and a 120/90 tyre at the back. The bike utilizes a dual disc setup with a 320 mm rotor at the front and a 220 mm rotor at the back. The front caliper has a powerful 4-piston radially mounted caliper while the rear one is a conventional single pot one. 38 mm Inverted forks with stanchions cartridge make up the front suspension, it also has a “Shim Stack Valving” mechanism for rebound and compression. The rear employs a 5-step adjustable twin-shock absorber. Electrical: Ace Misfit has a dual round instrument cluster which houses an analogue Speedometer, Tachometer and a digital odometer. Lights at both ends are Halogens. 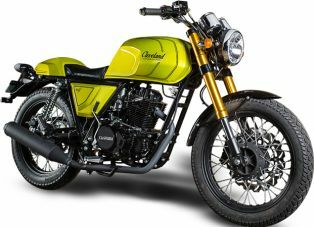 The bike is expected to come with a standard ABS, according to the rule implemented by the Supreme Court. Ace Misfit is Priced at Rs 2.5 lakh ex-showroom.